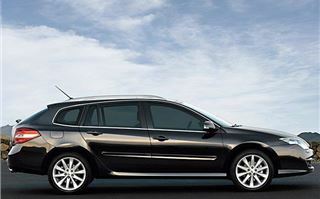 Guest Test of Renault Laguna III Sport Tourer. Words by Chris Rees. Video by Martin Gurdon. Any car maker competing in the cut-throat D-segment (that’s Mondeo-sized family cars) faces a dauntingly sheer rock-face at the moment. Against a backdrop of collapsing sales, every brand is rushing to claim the ‘premium’ credentials that are necessary to keep its model in the game. Renault’s mountain is bigger and steeper than most. It has seen Laguna sales nose-dive in recent years, while its performance in owner satisfaction surveys has been little short of disastrous. So here’s the huge task that Renault has set itself: to become, by 2009, in the top three brands for product and service quality. That means beating the Germans and most of the Japanese – quite some feat. According to Renault, the new third-generation Laguna is the car that begins the turnaround – and it’s spent one billion euros to ensure that it does. 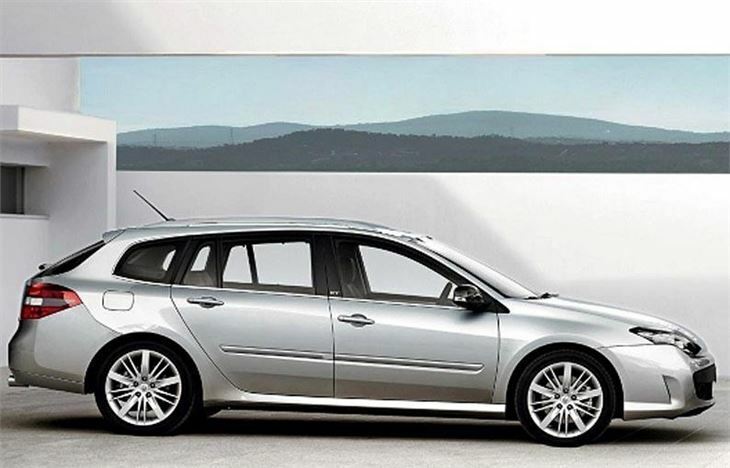 Having driven the new Sports Tourer estate – there’s also a hatchback version – does the new Laguna III have that quality aura? 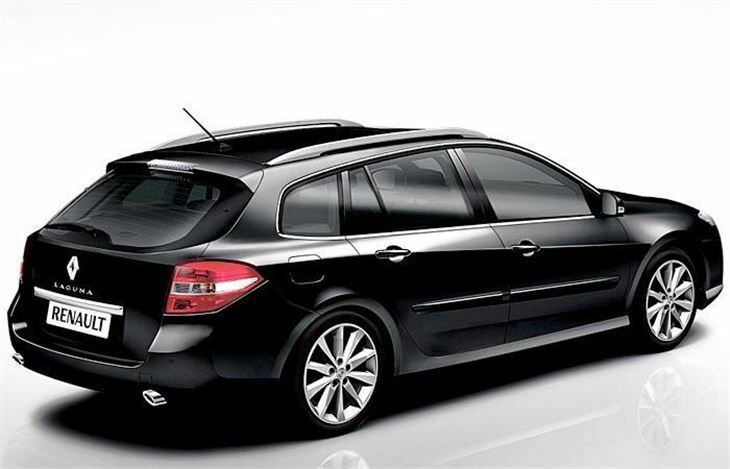 No question, this is way above anything that Renault has previously delivered. 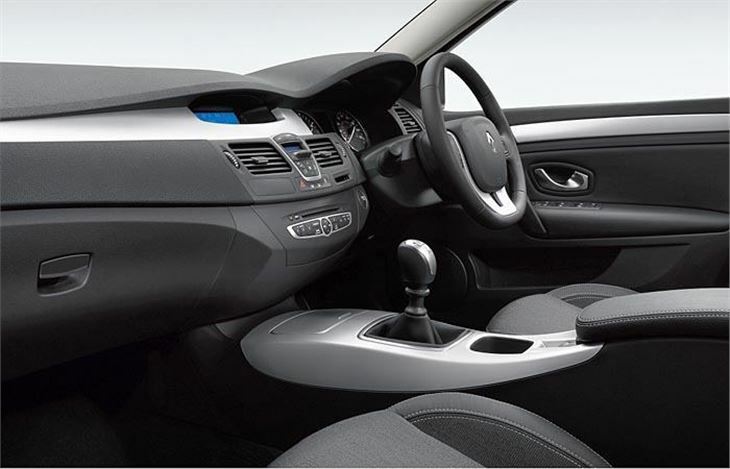 The feel of the materials in the cabin, for instance, is now comparable with VW and Audi. The cabin looks best in Initiale trim, with its light wood detailing and airy colours. It’s an elegant design, with a swooping dashboard and well-positioned controls (although some of the minor switchgear is a bit fiddly to use). 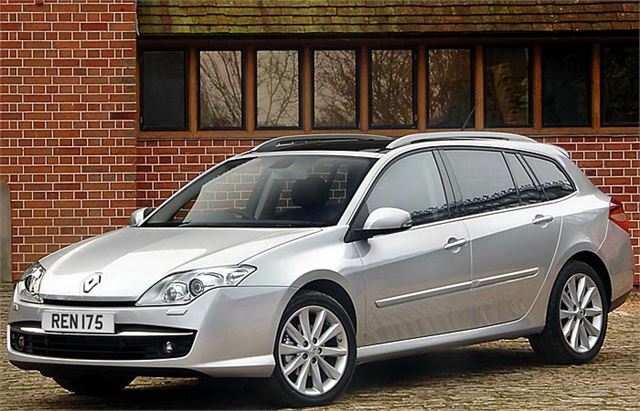 The best-seller in the range will be the dCi 150, which uses Renault’s familiar 2.0-litre diesel engine. 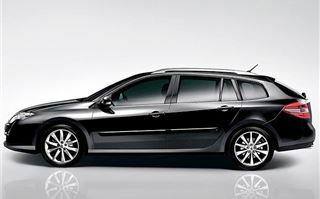 This is one of the best four-cylinder diesels on the market: gutsy, economical (46.3mpg) and much more refined than most. 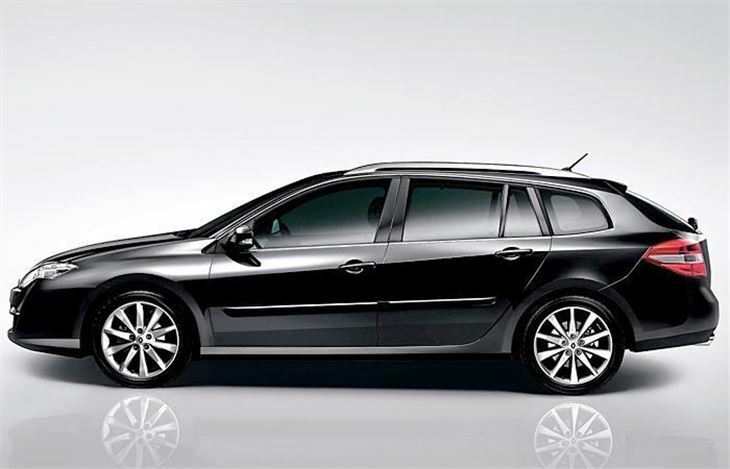 There’s also a hot 2.0 dCi 175 model (a new engine for the Laguna), which has warm hatch-rivalling pace. The surprise of the test proved to be the 1.5 dCi 110 engine. Despite having a mere 110bhp, it’s surprisingly willing and, priced from £17,300, it’s the bargain of the range. 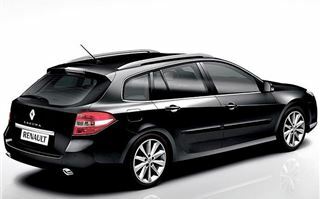 It’s also the most economical Laguna, returning 53.3mpg and emitting a class-leading 133g/km of CO2. My advice is to ignore the petrol engines. They feel strained compared to the diesels, are thirsty and the auto ’box in the turbocharged 2.0 170bhp version is utterly unsuited to the engine. One thing that hasn’t really changed is the ride quality, which is as absorbent as ever. Not wafty-soft, but compliant, and helped by supportive, comfortable seats. The trade-off is a fair amount of body roll around corners. Handling has definitely improved over the previous Laguna, with a much better controlled chassis offering more confident cornering. It’s no BMW to pilot, however, with a rather remote steering feel and understeer-prone on-the-limit handling. 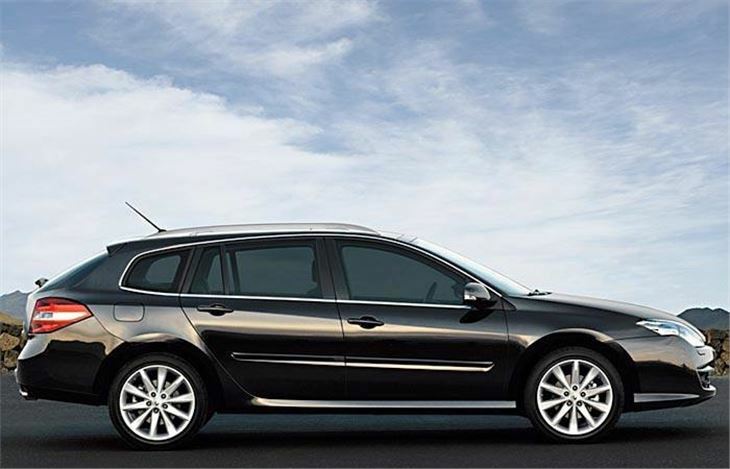 There is no EuroNCAP result yet – it’s due by the end of 2007 – but given Renault’s five-star track record, a maximum score is almost a fait accompli. 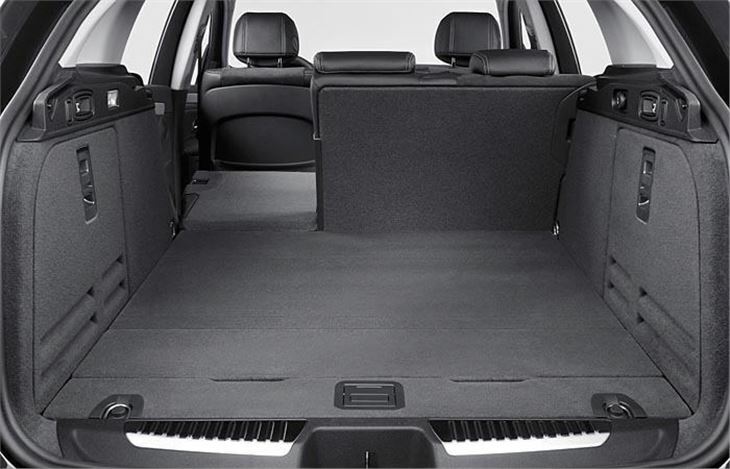 Curtain and thorax airbags are standard across the range. 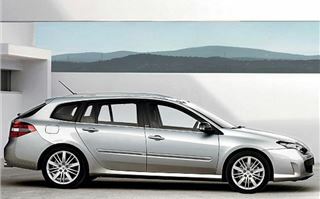 The Sport Tourer range starts at £16,940 for the 2.0 140 Expression (a £950 premium over the hatch). 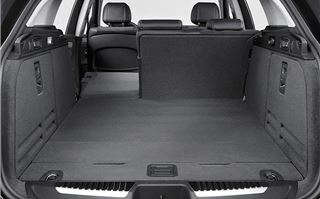 Even base models get lots of equipment as standard: front and rear electric windows, air conditioning, CD player, leather steering wheel, keyless entry, heated door mirrors and alloy wheels. 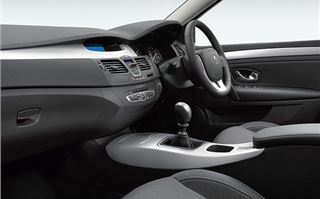 Dynamique models add part-leather upholstery, climate control, cruise control, fog lamps, a leather steering wheel and chrome trim. The Dynamique S gets larger 17-inch alloy wheels, aluminium trim, leather-and-Alcantara seats (the front ones heated and electrically adjustable), dual-zone climate control, automatic wipers and headlamps, plus an electronic parking brake. The top-spec Initiale is a luxurious animal, boasting wood trim, soft leather upholstery, unique alloy wheels, MP3 type CD, full-colour sat nav, xenon directional headlamps, parking sensors, memory driver’s seat and metallic paint. Future Laguna plans include a GT version with Active Drive suspension in March 2008, two big engines (a 3.5 V6 petrol and 3.0 dCi V6 diesel) later in 2008 and a coupe (looking almost identical to the stunning concept car shown at Frankfurt) by the end of 2008.